Burg Giebichenstein Kunsthochschule Halle is, by its own description, "one of Germany's most varied and interesting art schools. Situated at the meeting point between East and West, it has had to reinvent itself for nearly a 100 years and does so to this day." 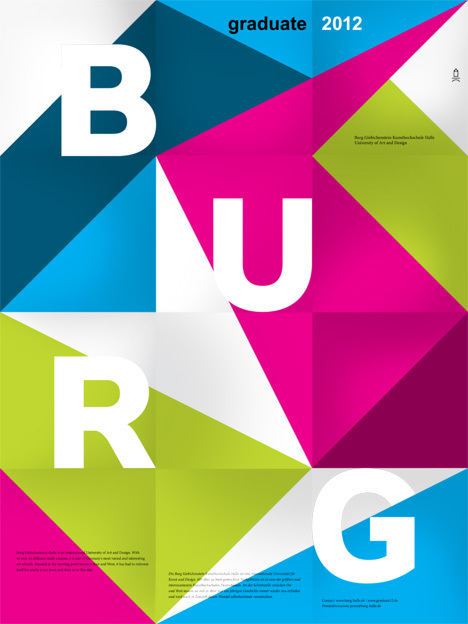 I must admit that I'm not familiar with the the past century of Burg Halle's history, but if their recent graduate exhibition in Ventura Lambrate is any indication, the school has an excellent design program. 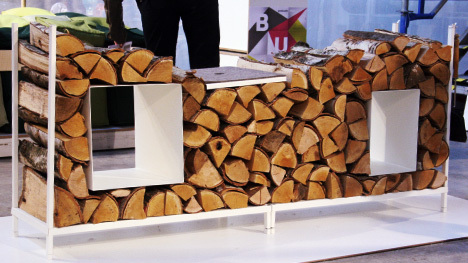 Julia Brümmer - Herr Holzinger...combines firewood storage and a rack system. It provides easy access to firewood and creates space for books and much more. Through different add-ons, such as hooks, shelves, seating area or a lamp, Herr Holzinger offers various uses. Herr Holzinger can be built individually or in multiple modules side by side. Due to the variable stack height of 60 cm or 120 cm, Herr Holzinger can be built both, as a high room divider or as a lower sideboard. Anne Rossner - LeseLIEGEObserved many times, most people can't stay in the same reading position very long. 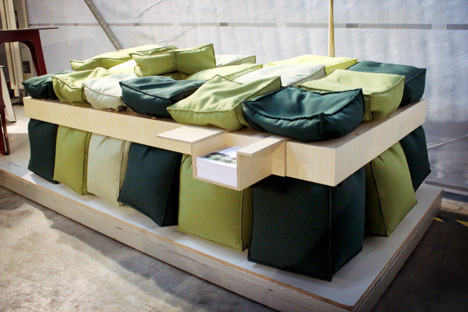 The idea—one surface entirely made of cushions. All cushions can be moved individually to create the favored position: pushed down or pulled out. They provide support for the different arrangements, making it cuddly and comfortable. 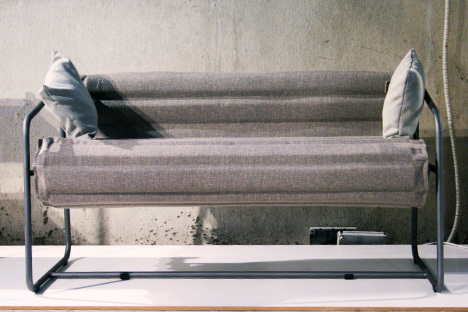 Matthias Zänsler - Couch FlandersFlanders is a furniture for living rooms or maybe even for the office. A furniture between chair and sofa, that can be rolled out to a couch area on the floor. 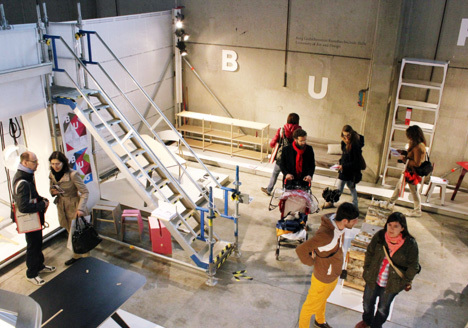 The nearly three-meter long cushioned fabric is wrapped around a wooden body and then clamped to a tubular steel frame. Inspiration for this furniture was a roll of carpeted floor in a hardware store. 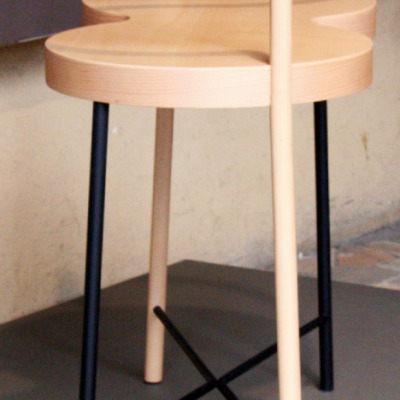 Oliver Reinecke - Hyde Table & Gap ChairHyde is a table which offers special storage. Inside its table top one can find a hidden channel, providing enough space for things which are needed at a workplace like hard drive, power supply and other office accessories. Three plates close the storage channel and create a free table surface. 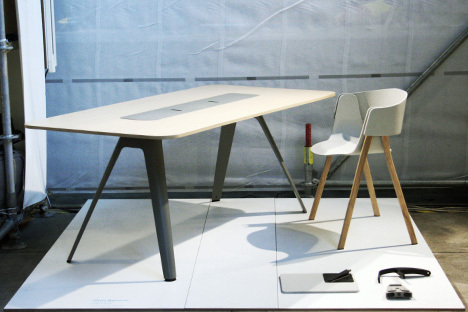 The Gap Chair is composed of three components that can be arranged individually by the owner in color and material. 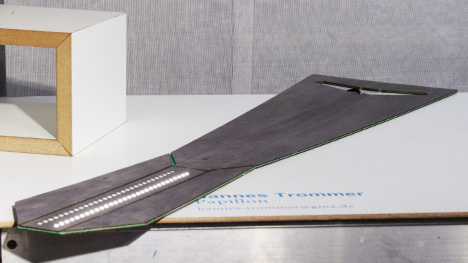 A plastic part connects the individual parts and creates a joint that allows the attachment of additives such as a table surface or a reading light. Easy assembly, few parts and a small packing size underline the customizing concept. Hannes Trommer - PapillonAS if by magic, Papillon changes from a flat board into a sculptural table lamp. 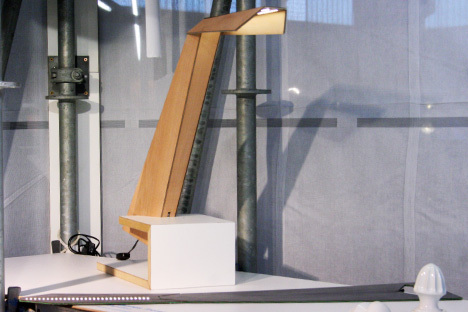 This is made possible by a cleverly thought-out folding mechanism that gives the lamp form and stability. 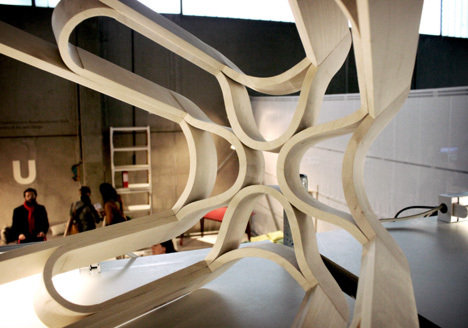 The material used is a laminated composite made of plywood and linen, with integrated LED technology and wiring. The wedge-shaped recess in the arm allows clamping of the lamp on a tabletop with no fastening elements whatsoever. Compared with conventional table lamps, Papillon features an extremely compact design for packaging and storage, as well as user-friendly setup. 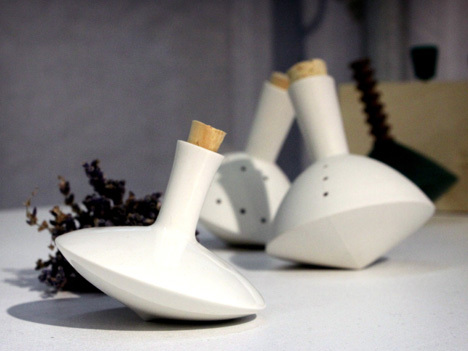 Ulrike Sandner - Products That Make Sense: A Spinner for StorageThe china spinner can be used as a container e.g. for small candy or liquids. Within the scent spinner while spinning attrition is caused by unglazed china pearls which were filled in together with dried substances, so fragrances leak out of the spinner. 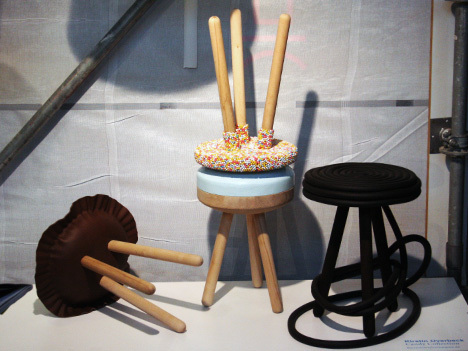 Kirstin Overbeck - Candy collection stools (above) & Sugarchain light (below)The tasty and colorful world of sweets and delicious goodies served as inspiration for the Candy Collection. I wanted to design products that refer to the deep enthusiasm of childhood and the addiction to the meltingly tender savor of sugar. The result is eye candy that appeals to the senses. The Candy Collection consists of six three-legged stools, carpets, coat hooks and a light. The individual objects relate to pies, candy canes and beads, lollies and other candies. Tasty products with zero calories guaranteed! Christine Rackel - Big Bond (above center)Its name is BOND. Big BOND. 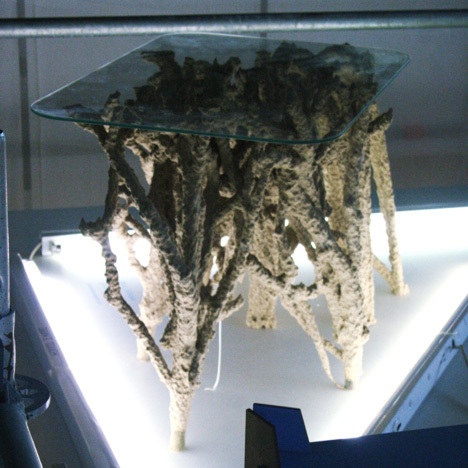 The lamp curls silently on the ground or builds huge knotted sculptures in the room. It can crawl across furniture, clasp it and rope down from it. Big BOND is everywhere. Big BOND lightens the room. 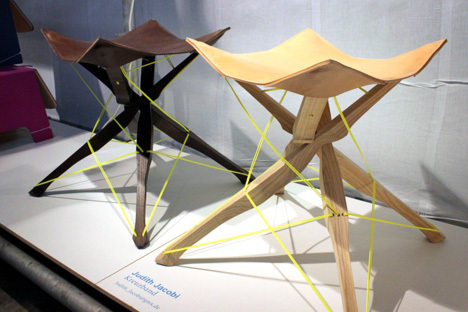 Judith Jacobi - KreuzbandKreuzband is a stool using the human locomotor system as a model for its construction. 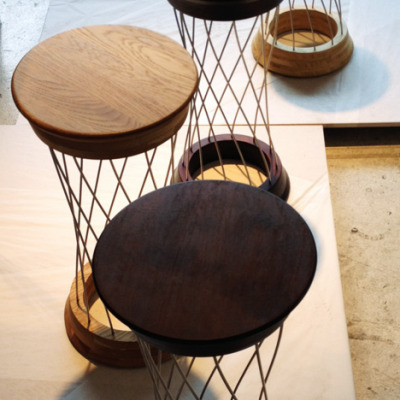 The human body's bones and tendons are replaced by wood and rope, so this seating doesn't need any nails or screws. Due to this design Kreuzband is flexible and can be folded. This skeletal construction is cover- ed with a leather-surface, allowing to sit comfortable and relaxed on Kreuzband. Max Böhme - korállionInspired by different attributes of growing structures, the sidetable korállion is produced in an artificial growth process. The growth starts on a skeleton from connected branches. These are dipped headfirst into a composite of CMC [CarboxyMethyl Cellulose] and sawdust, with the accretions creating the solid product. The final shapes form themselves (after less than 20 dips) through the natural core of the wooden branches and the coarse material on it. Korállion is totally compostable, so it's not leaving the natural circulation of growth. 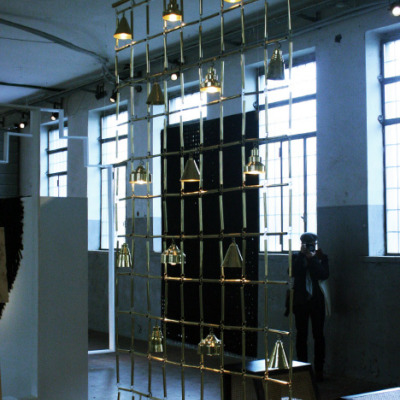 Niels Werner Hersmann - ThurnNot form follows function but function follows form—the idea: Ornamentation. Aesthetics and functionality were the aim. 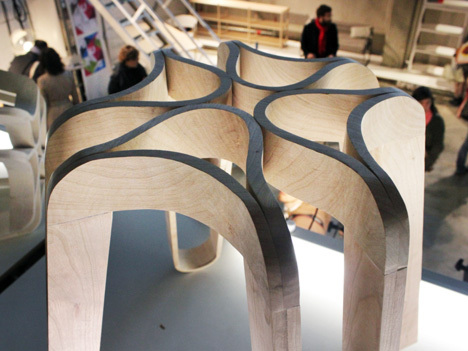 Curved and straight elements should blend into each other and create a closed shape. Loops, that are alternately opened to the bottom and to the top, establish a unit, which fits into the interior as well as the exterior. Through repetition, those apparently simple forms band together to an eye-catching structure. 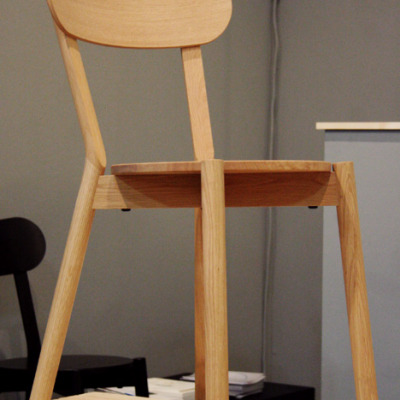 The material wood and its naturalness illustrate a strong contrast to the ornamental appearance. 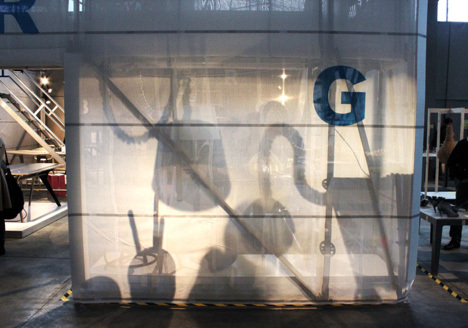 For more information, go to http://www.graduate12.de.